IMPORTANT ANOUNCEMENT ! ! ! 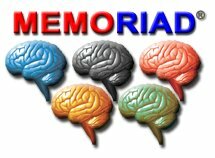 2-) Send an email message to usamemoriad@memoriad.com from your primary email adress to receive our offical announcements and our free preparation software and tools.